London Calling had a giggle with Rhys James whose sold out debut show at Edinburgh is coming to the Soho Theatre. London Calling: What can audiences expect from the show, Rhys James Begins? Rhys James: You can expect some humour. A comedy show – that comes with the title. It was my debut show that I did in Edinburgh so it’s called Rhys James Begins for that reason. In that its supposed to be the beginning, but also its about being the beginning of my life because it’s about me finishing Uni and becoming an adult or trying to become an adult. It’s just loads of jokes and stories – loads of spoken word poetry in it and there’s a video and there’s some light changes. I mean it’s all very pretentious but in a cool way I like to think. LC: What is your style of comedy? RJ: I don’t know – that’s the most difficult question of all! I never know how to answer that - I can answer it about everyone else that I’ve watched but about myself I don’t know. There’s quite a lot of anger in this show. LC: OK... is that an angry start to your life then? RJ: I don’t know! A lot of its not real. There’s a lot of disdain, youthful disdain but done in an ironic way. LC: But does the audience know it’s ironic? RJ: Yes I’m quite self-aware in the show. I hope it is. LC: Who is your ideal audience member? RJ: Anyone who pays £12.50 is welcome to come! There’s no one ideal! I don’t know it’s strange because people try and pinpoint demographics all the time. And it’s never true. It’s always whenever I’m at a gig and I’m like at the back of the room I’ll see a certain type of audience member and I’ll think that person is going to hate me, and that person is going to love me. And I always get it the wrong way round! People always assume because I’m young and male that my audience will be 13 year old girls but it’s not and if they come they’re like it’s alright. They quite like it but they’re never the ones that are properly gushing afterwards. It’s always like 25 year old guys with full beard. LC: You’re not trying to channel One Direction then? RJ: No I would love to be in One Direction Jesus Christ let me be in! For now I’ve just got to be a comedian on my own. So I’m hoping if enough people come and the message will get out and Styles will colloborate with me on something else. LC: Well you’re big on Twitter perhaps you can use that to reach out? RJ: I’ve tried, believe me I’ve tried! LC: Your final show is on Valentine’s Day. Are you looking forward to your date with a roomful of strangers? RJ: It’s really weird. They just said do you want to do these dates and I didn’t even think about it. And then I told my girlfriend and it was not a good conversation! She was very understanding, but it’s not ideal is it? At least it means I definitely won’t be alone. LC: Are you going to bring Valentine’s Day into your show? You could turn on tinder? RJ: That would be great wouldn’t it! I deleted tinder ages ago. Well when I got a girlfriend. The show is quite a lot about lost love, like first love. So there’s quite a big section on a girl called Sarah who represents my first love. It’s got romance in the show. It will be relevant to Valentine’s Day. LC: Would you recommend your show as a good date? RJ: Yeah. Yeah I would. I’m just trying to think if I’m positive about love or not. I think really the only negativity is about me, so yeah I think I would recommend it as a good date. It would be a great place to come on a date on Valentine’s Day. LC: How about a first date? RJ: I would never recommend comedy as a first date. But, I don’t pick on anyone or speak to anyone in the audience. So you don’t have the awkwardness of that. People think they can do it because it means we won’t have to talk that much and we’ll have stuff to talk about afterwards. LC: What’s been your worst Valentine’s Day? RJ: Worst Valentine’s Day is pretty much every single one up until last year. Which are all the ones which were alone. The worse one was when I was 9 years old I drew a picture and coloured it in with felt tips and put it in a girl’s drawer at school and then I saw her look at with her friends and laugh and rip it up. LC: You’re big on Twitter. Are you a 21st century comedian? RJ: Isn’t everyone a 21st century comedian? LC: OK, are you utilising the tools of the 21st century? RJ: I think it’s silly not too really. You’ve got so much time if you’re a comedian in the day. It’s not hard to make a YouTube video so you might as well write one and make one! And Twitter is something so easy – it’s a sentence so you can just do it on the go. And I use it for stuff I don’t think I’ll want to talk about on stage. LC: You studied politics at Manchester University. Has that helped you with doing what you’re doing now? RJ: No. Not at all. What a waste of time. A complete waste of time, money and effort. No it’s great. Being at University was amazing. It was the best thing in the world – you got three years to get good with no pressure. LC: No plans to become a politician? RJ: Nah, Al Murray is already smashing it. LC: What’s the best heckle you’ve ever received? RJ: What you doing on your gap year? 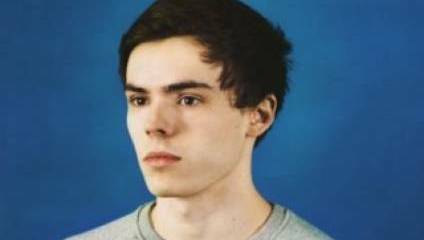 Rhys James Begins plays at Soho Theatre 9-14 February. You can book tickets here.